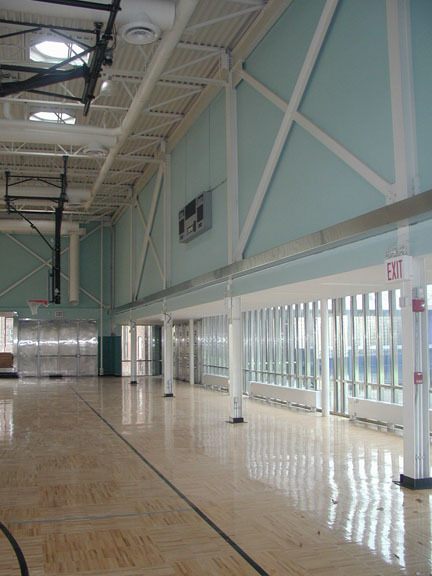 A 16,000 sf community center, the project illustrates the commitment to creation of quality space through the introduction and manipulation of natural light, as demonstrated throughout the project, but especially in the gymnasium. 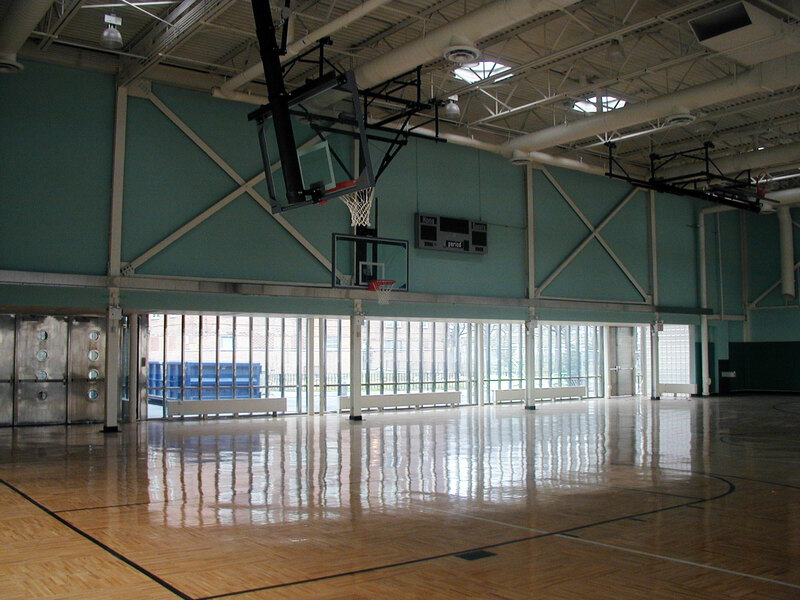 Often, the gym project component is treated with indifference to quality of light, materials and relationship to site and is just as often situated with deference to the remainder of facility program elements. 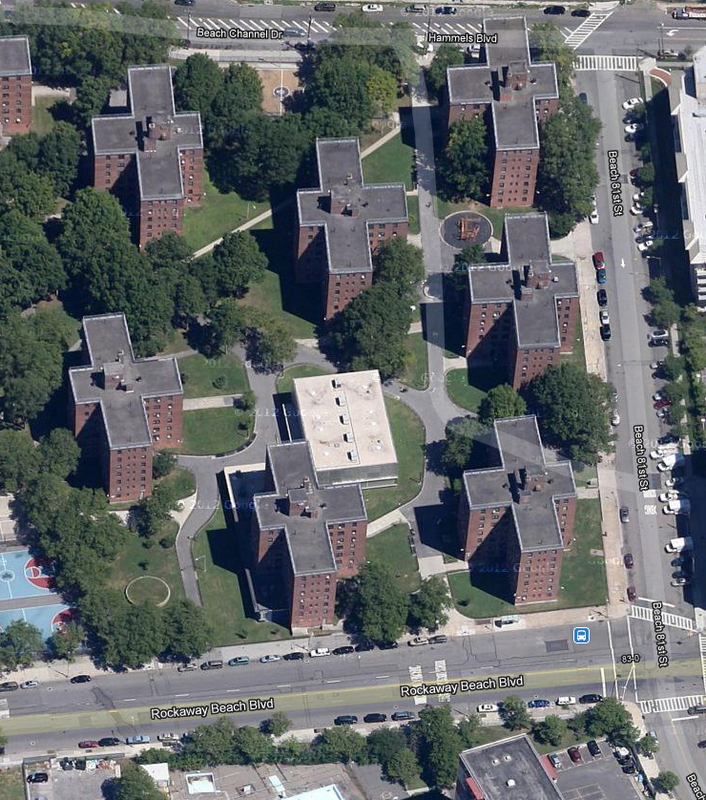 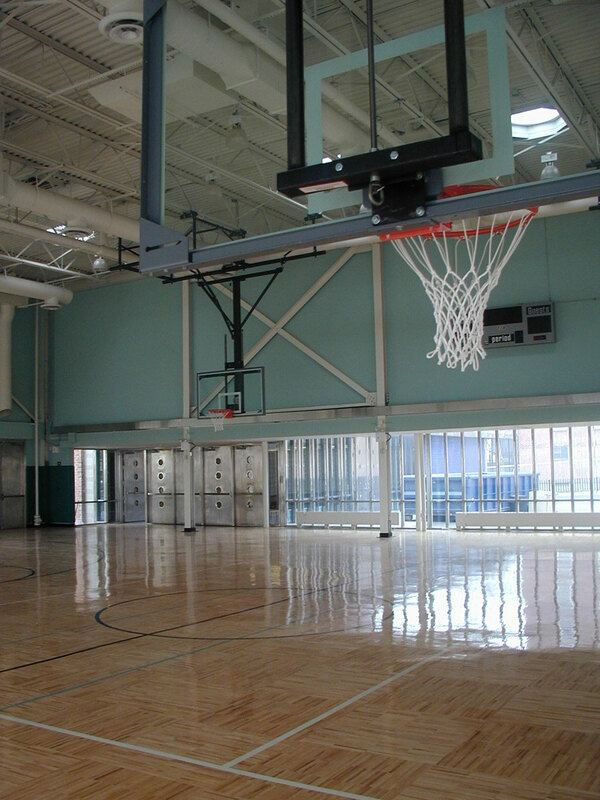 Our approach situated the gym prominently adjacent to the facility entrance and as a focal point on the site. 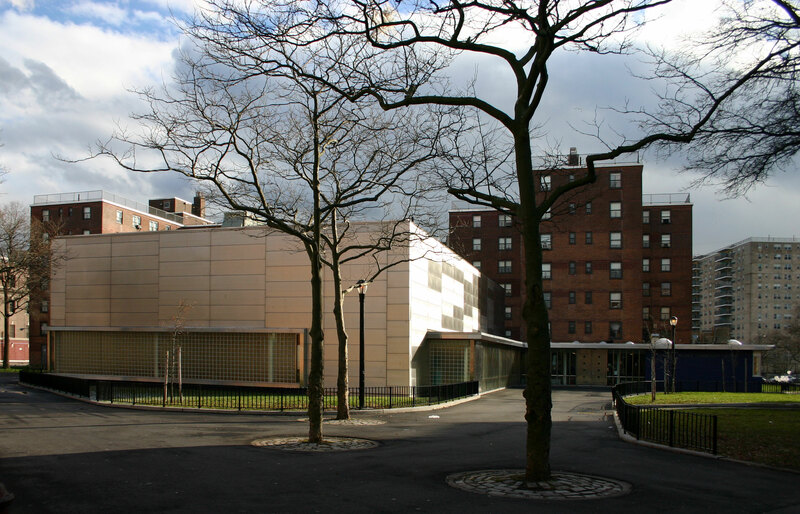 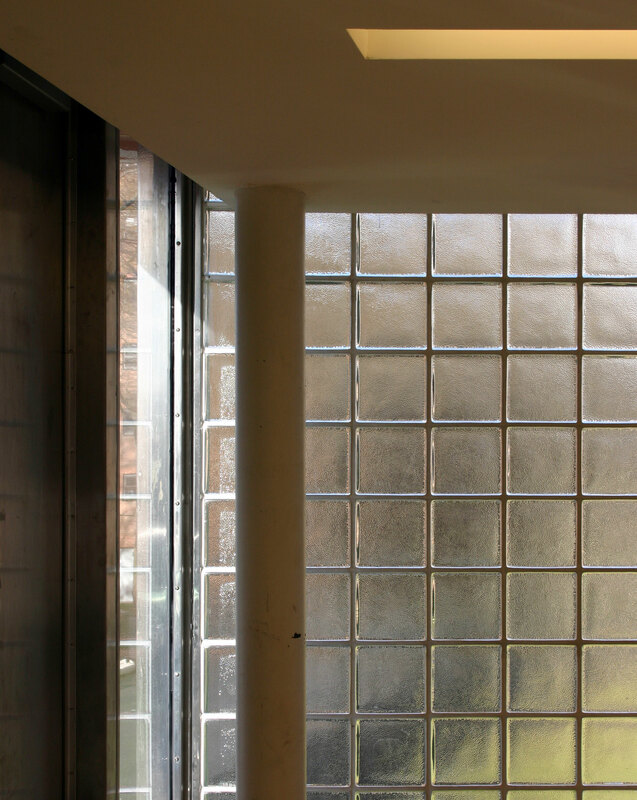 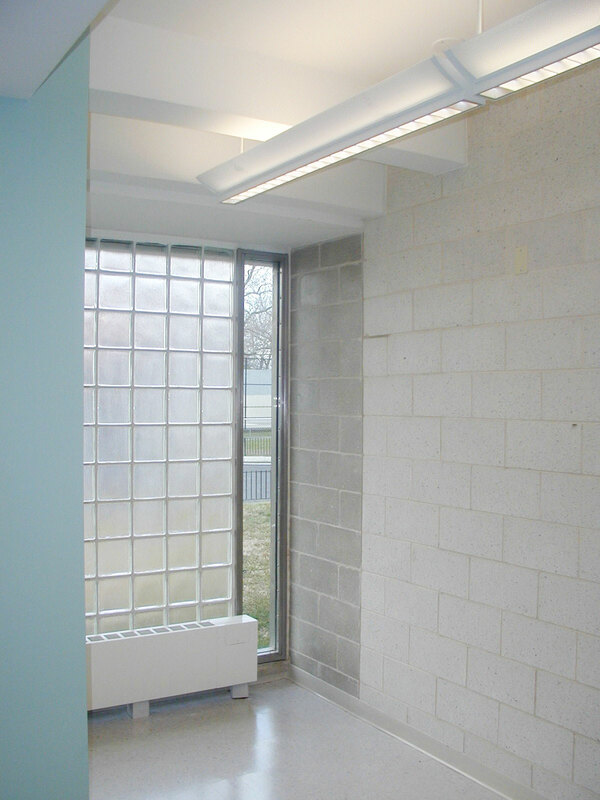 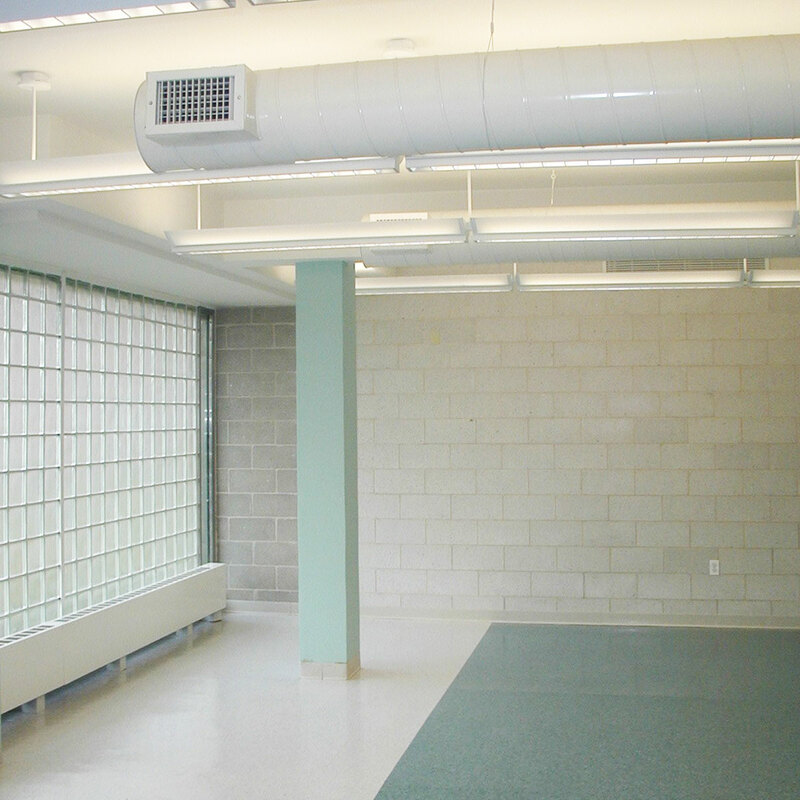 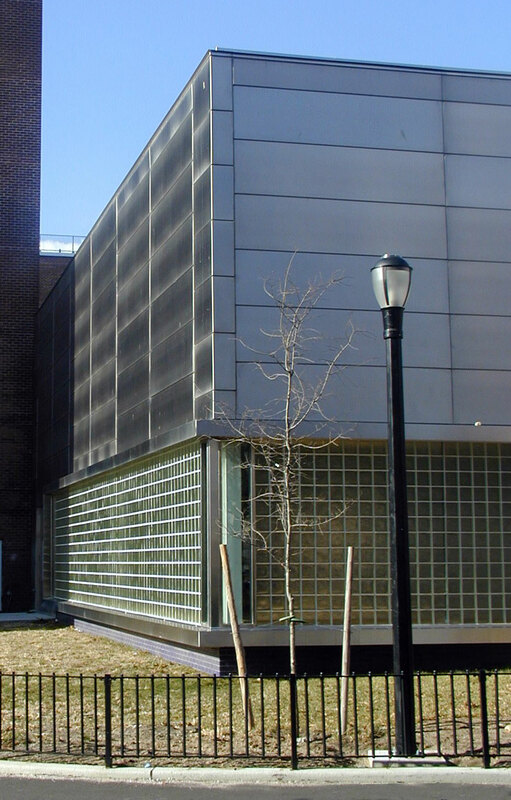 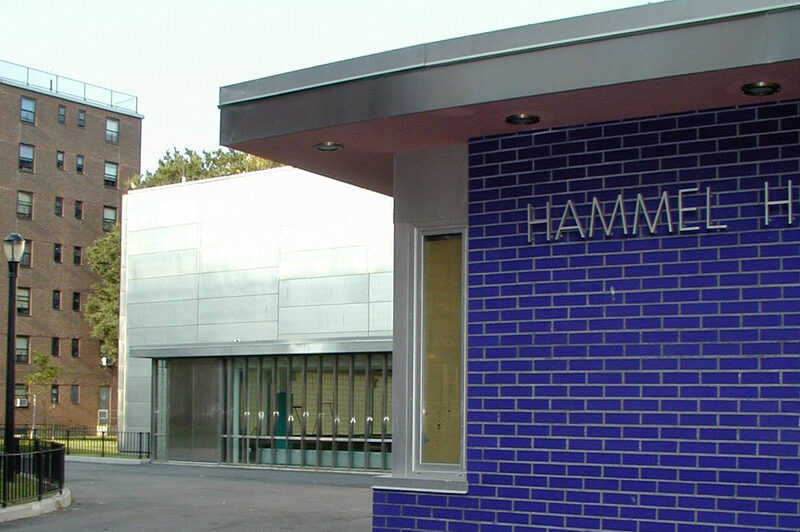 In the majority of the project, including classroom wing and gymnasium, stippled solid glass block with intermittent clear laminated glass was employed to bring generous amounts of diffuse light to the interior spaces. 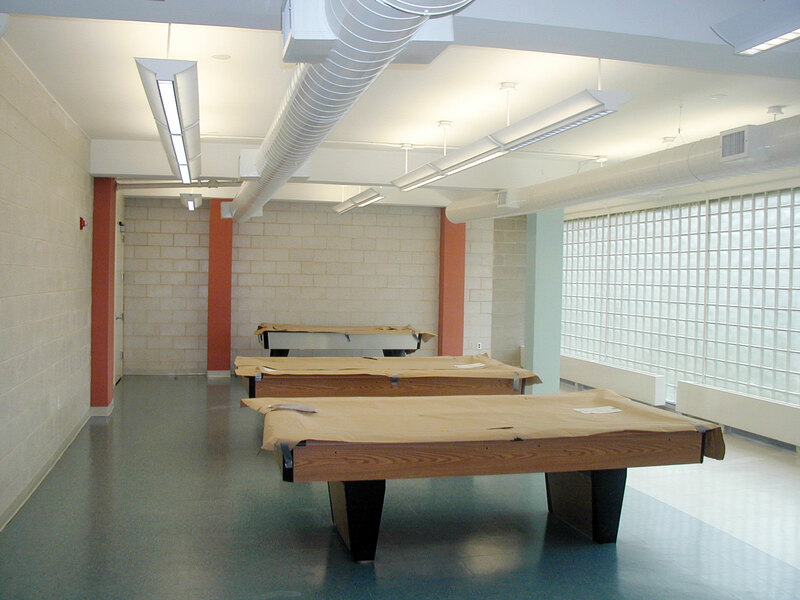 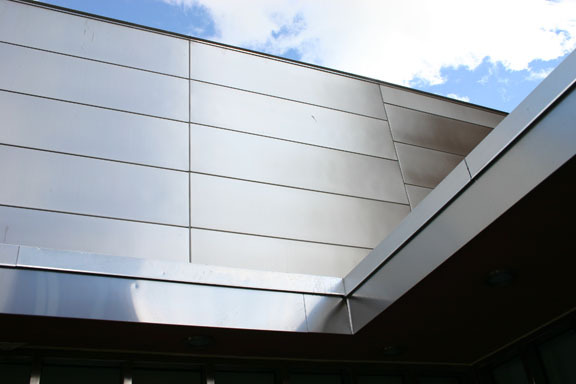 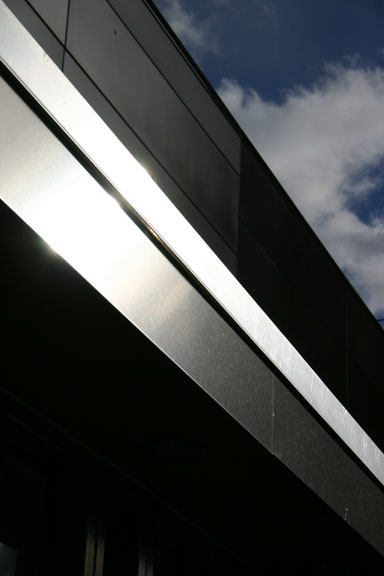 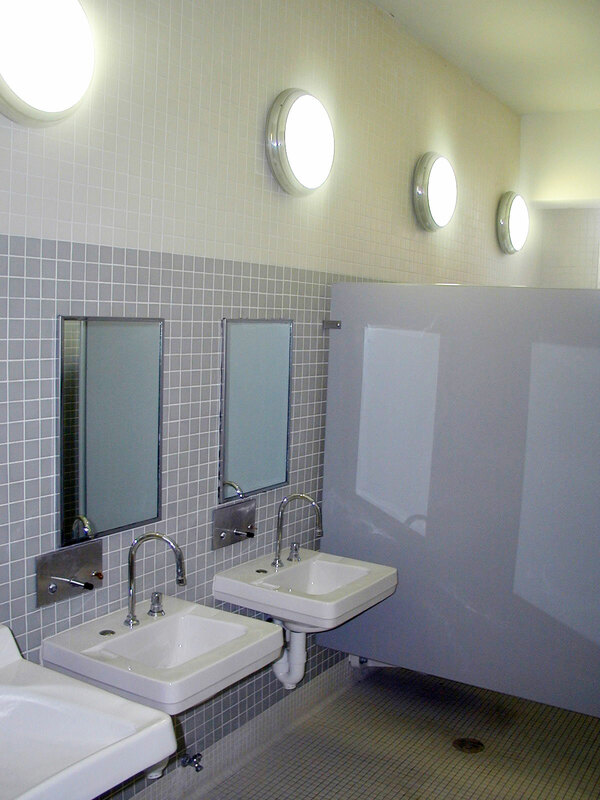 These materials were utilized for their durability and low maintenance as well as luminescent quality. 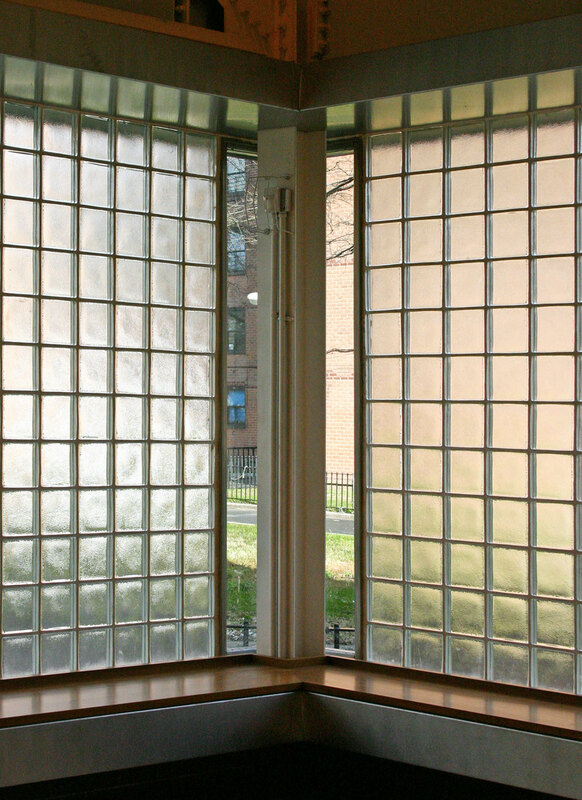 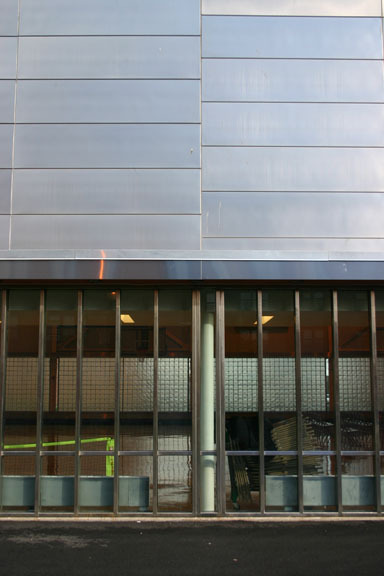 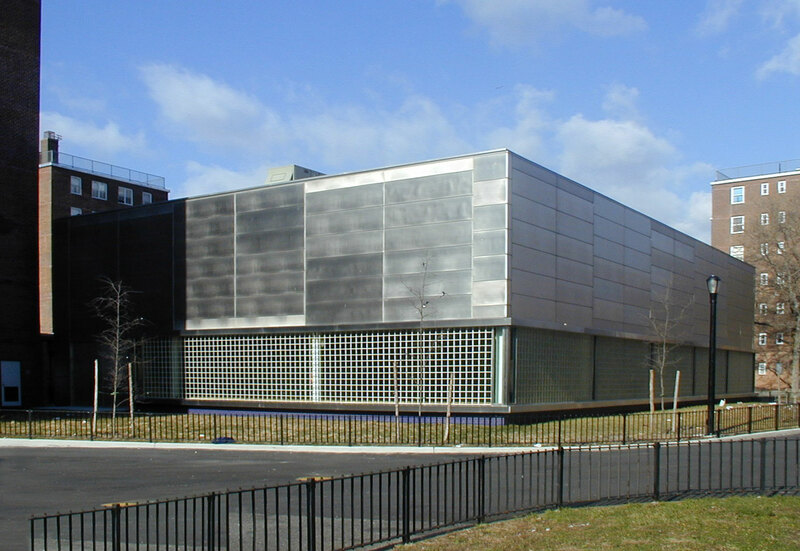 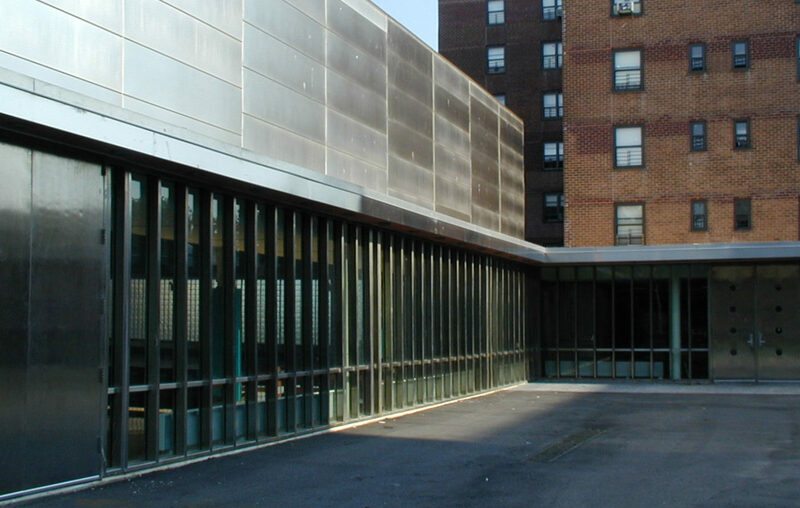 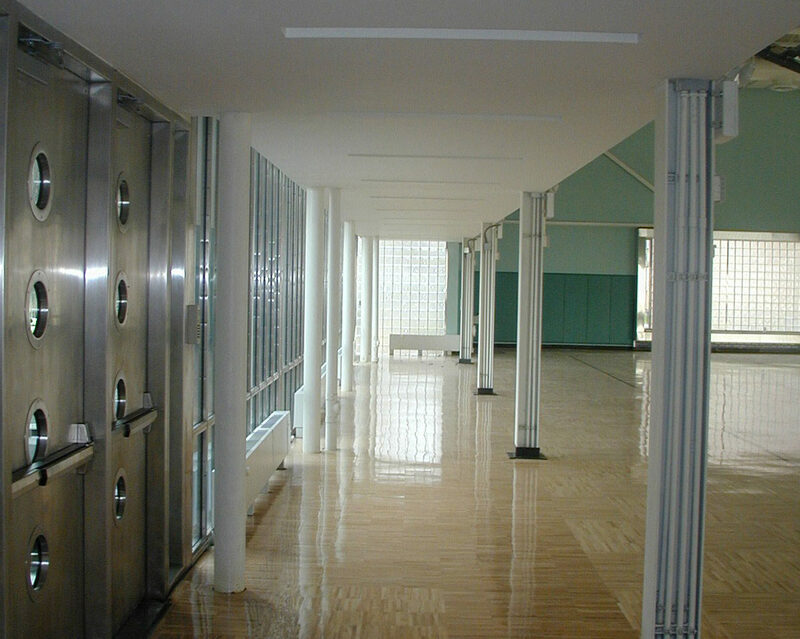 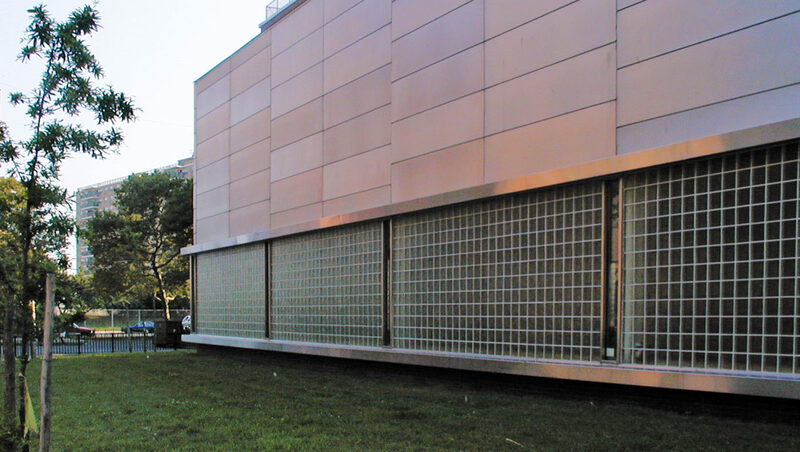 In addition, a large clear glass wall is employed at the gymnasium wall adjacent to the building entry, thereby establishing an immediate and strong relationship between gym activity and the site. 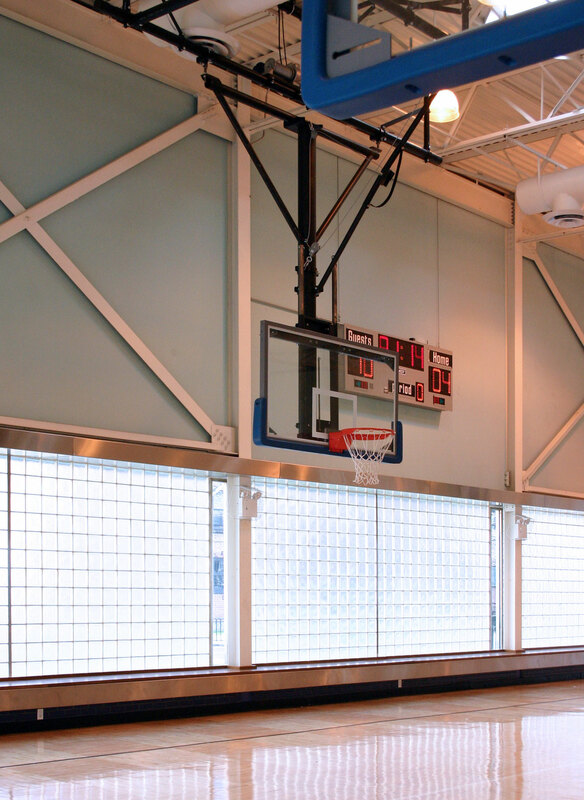 Skylights introduce natural light to the gymnasium ceiling canopy.